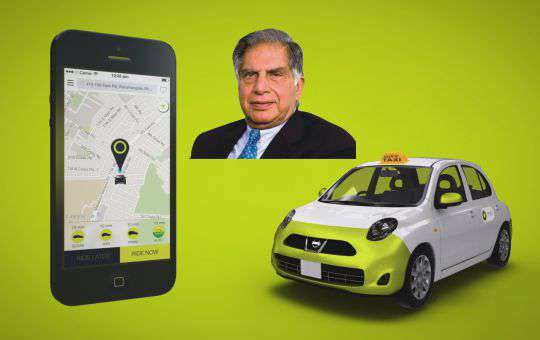 Ratan Tata invests in OlaCabs mission to build mobility for billion Indians! Business tycoon Ratan Tata has acquired a stake in taxi-hailing app OlaCabs, making it his latest personal investment. However, the company has not disclosed the amount and value of the stake, which the 76-year-old chairman emeritus of Tata Sons has invested. The former chief of Tata Group has previously invested in start-ups such online retailer Snapdeal, Chinese phone maker Xiaomi, fashion portal Kaaryah and auto classifieds portal CarDekho. Other investors of OlaCabs include Tiger Global, Matrix Partners, Sequoia Capital, Steadview Capital, Softbank and most recently, Yuri Milner’s DST Global.